There are thousands of Louis Vuitton bags and accessories available through eBay on any given day. Some are sold by individuals, others by shops and resellers. Some are new, others have been used before. None are cheap. 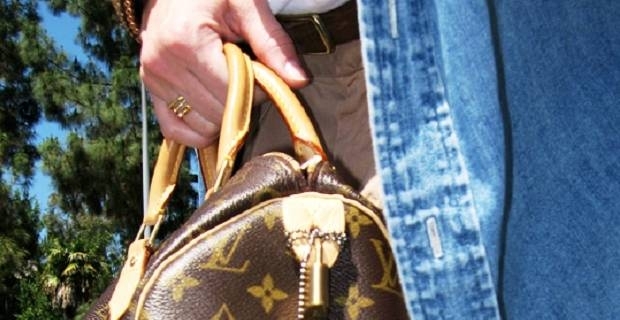 You will find deals and bargains through eBay, but how will you know if you’re buying Louis Vuitton Bags on eBay or fakes? If the bag you are interested in has an 'L V' pattern or symbols you will need to check that they are perfectly in line with one another. The patterns are also symmetrical, so a symbol on one side will be mirrored on the opposite side. On an authentic bag the stitching will always be impeccably crafted. There will be a slight slant to the stitches as they are hand stitched. Most fakes will be machine stitched. There are heat stamps inside the bag that say ‘Louis Vuitton – Paris’. As with the stitching and the symbols, the stamp will be perfect. It won’t be uneven or thicker on one side. The bag should also have a date-code. This is present within the bag and looks like a label. It’s a code that begins with two letters, which symbolise the place the bag was produced, and four numbers, which mark the year that the bag was produced. Lists of the codes can be found online. There are lots of fakes in the market place so how do you authenticate the bag you are interested in without seeing it in person? High resolution images can be used to authenticate the bag. Ask the seller to provide pictures of certain areas of the bag that contain the heat stamp, the date-code as well as other high quality images of the bag before you bid on it. Most listings will be up for a few days and if the seller has a genuine item they will be aware that they will realise more money for it if they can authenticate it before bids are made.